This is a beautiful bird, Tom. One similar to it in appearance is a regular visitor or lives there along Twin Creek. Ohhh! How wonderful. My grandmother's (the bird lover) name was Adelaide. She would be so happy to know she matched a bird! He's quite handsome too. I've been slowly catching up. 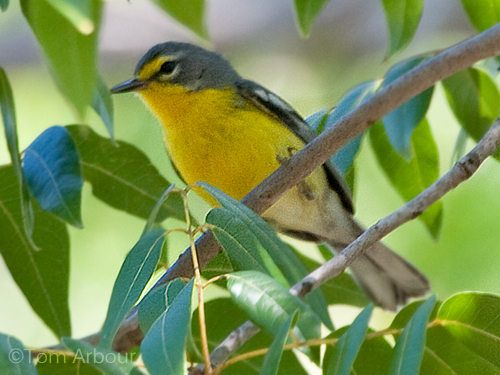 Your photos of the birds of Puerto Rico are lovely. What a fabulous trip--I'm jealous! Abe- Yes, it does kinda look like a northern Parula. That species is extremely common at my in-laws place in Maine. Kelly, thanks for the comment, what a neat story about your grandmother. The bird was named for the daughter of the person that found this species, supposedly. Somehow I lost track of your blog too, it looks great, I'll be a regular visitor again. Beautiful!! Sounds like you had a FAB trip!